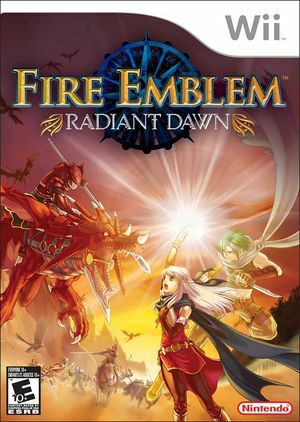 In Fire Emblem: Radiant Dawn three years have passed since the great war that ended in the death of Mad King Ashnard. His country of Daein suffers under the rule of the war's victors. Now, a small band of freedom fighters struggle to end the long, dark night of Daein's oppression. Micaiah, Sothe and a host of others – the infamous "Dawn Brigade" – rally under the banner of Daein's long-lost prince to bring a new day to this ravaged land. Fire Emblem: Radiant Dawn is capable of using both GameCube controllers and Wii Remotes. If a physical controller is set to emulate both a GameCube Controller and a Wii Remote concurrently, it will operate both devices at the same time. To fix, migrate controls to use separate physical controllers. When loading rebirth (1)'s mission, the game will sometimes crash. For some users, setting the Emulated CPU Clock to **exactly** 6% before the time it would crash will work around it, usually during the cutscene. The crash seems related to the number of characters or having certain unlocked, as a save with 68 characters unlocked does not crash in Dolphin, but after unlocking Renning, the crash does happen. issue 4709. If Anisotropic Filtering is used with the Direct3D11 back-end, black or purple lines appear around character mouth and eyes. This may also appear in the other backends if Force Texture Filtering is used. The graph below charts the compatibility with Fire Emblem: Radiant Dawn since Dolphin's 2.0 release, listing revisions only where a compatibility change occurred. 3.0-549 Windows 7 Intel Core i3-370M @ 2.4GHz NVIDIA GeForce GT 420M Runs fluently. Some minor speed problems (rarely runs at full speed). No graphic issues. This page was last edited on 7 April 2018, at 05:51.